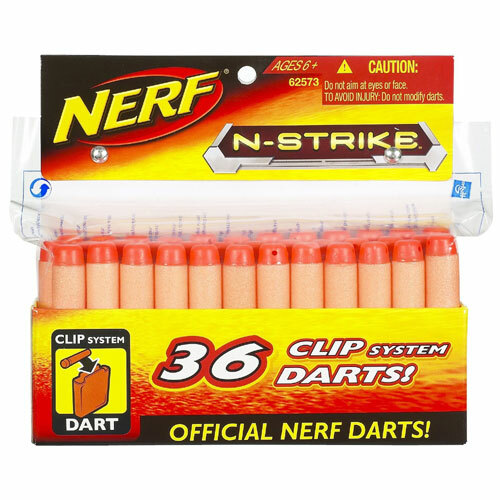 Hasbro Nerf N-Strike Clip System Darts - 36-Pack and keep the game going even longer! 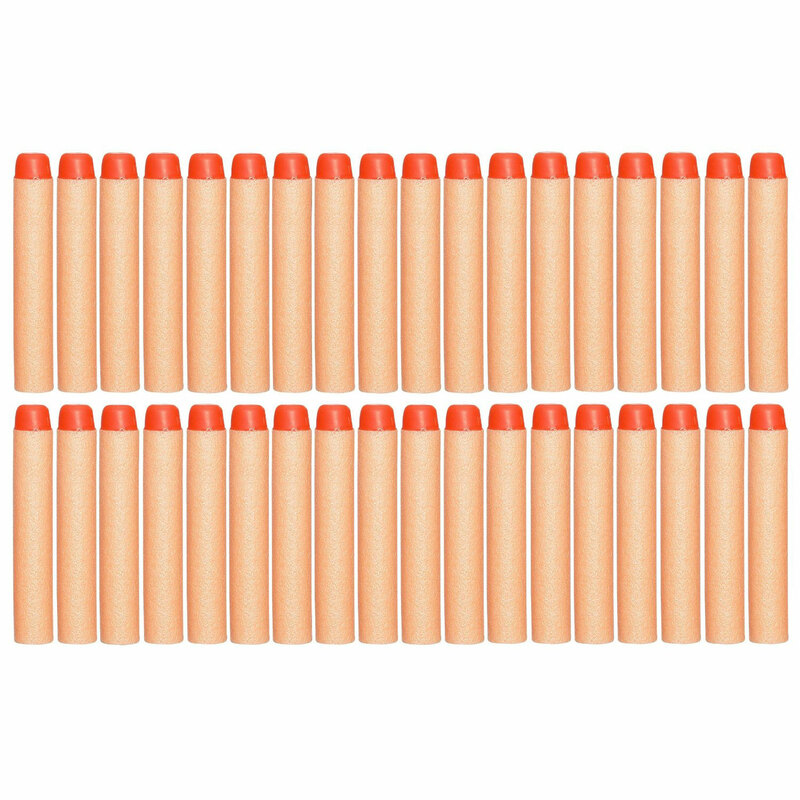 These foam darts are specially designed for high-flying, high-performance blasting. With simple beginnings forty years ago as an orange foam ball, Nerf is not only now a key player in action based performance toys, but also transcends the toy aisle as a lifestyle brand for kids and adults alike. Whether its working with some of the most notable athletes of the day, sponsoring the Dew Tour with the Nerf Dart Tag World Championships or bringing a no-holds barred blaster experience to the video game environment, Hasbro Inc's, Nerf brand continues to redefine both the sports and toy world.